“Can’t Buy Me Love”—not at a pet store, anyway. The Beatles, whose songs remain among the most celebrated and beloved music of all-time, have donated the use of the classic hit to PETA to help end animal homelessness. 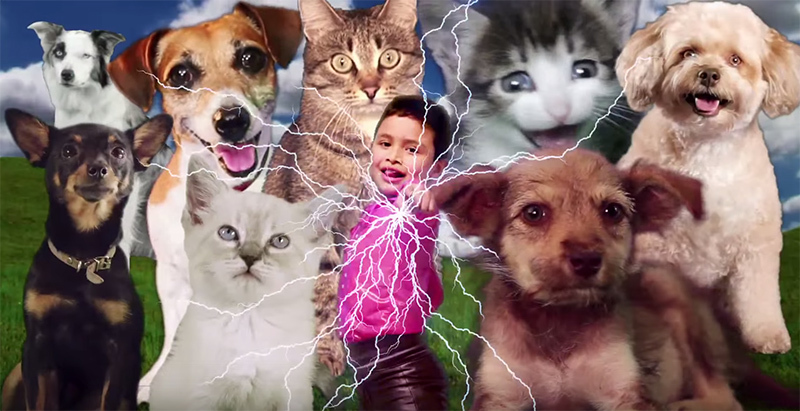 Directed by Steven Willis, the video features adopted cats and dogs (including a terrier mix who was rescued near PETA’s Virginia headquarters) and dancers from salsa troupe Baila Conmigo, winner of the World Latin Dance Cup and finalists onAmerica’s Got Talent. After three decades of being one of the most prolific forces for animal rights, Paul McCartney is still finding creative new ways to promote compassion.